Chirk is one of the ancient parishes of Denbighshire. It comprises the townships of Chirk, Bryncynallt, Halton, Gwernospin and Penyclawdd. There is believed to have been a church on the site since the 7th century. The earliest written records date from 1163. There were extensive alterations during the late 15th century; and various renovations and restorations during the early 19th century. The church was partly rebuilt after being damaged by fire in the early hours of Christmas Day, 1853. Further restoration work was carried out in 1877. 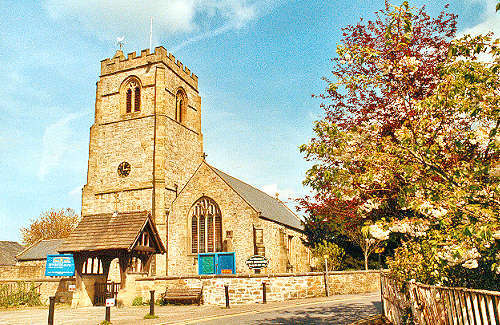 For family history information about the church and parish, visit the GENUKI Chirk page.